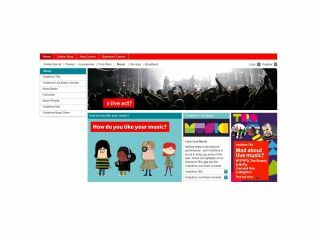 Vodafone is attempting to get its users to buy DRM-free tracks from its music store by offering free music this Friday. Customers will get the chance to download ten free tracks from a number of current and 'classic' artists. Vodafone has revamped its Music Store and will be using the new free music Friday to show it off, along with a new £5 for 10 tracks bundle. It's also a chance for the company to plug its new Real Time Top 40 site, where users can Tweet which song they're listening to, and the most listened to tracks will be charted accordingly. Vodafone has recently announced a deal with Warner Music to supply DRM-free tracks to its Music Store, meaning it now has all four major labels under the portal. The new deal could lead to additional content beyond the track too, with 'value-added' bundles possibly giving videos or interviews with the tracks.